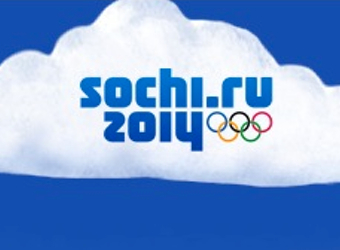 The brand identity for Sochi 2014 eschews the usual symbol or brand mark in favour of a purely typographical logo. It has been criticised for lacking personality, but that may just be because Russia is still trying to figure out its own post-Cold War identity. We spoke to Tim Riches, managing director of Designworks Australia, about Games branding, and Sochi in particular. Riches was involved with the branding of Sydney 2000, the Melbourne 2006 Commonwealth Games, the Melbourne 2007 FINA World Swimming Championships and FIFA World Cup host country bids for Australia and South Korea. We asked Riches if it is even appropriate for outsiders to judge Games brands such as Sochi, with Games in a sense being the host country’s own celebration. “No, I don’t think that’s right,” says Riches, “because if I am the host country, the value proposition of the Olympics is for the host country to be in the international spotlight, and so it absolutely is an exercise in marketing the country to its export markets, whether that be for tourism or other aspects of the economy. Riches’ main criticism of the Sochi 2014 brand identity is that it lacks personality. That issue hints at deeper challenges in Russia as a brand itself. “When you look at the Sochi identity, one thing that’s attracted a lot of comment is that the actual logo is a word mark, there’s not a symbol there per se. “That is unusual, because normally there is [a symbol] in the logo, a more expressive visual element, or more personality-driven typography that expresses more about the host country. The secondary elements, though, are impressive. “There’s quite a strong secondary palette of pattern elements, which you see on things like the bibs that the competitors wear and in some of the field of play branding, on merchandise and those sort of things, he says. It’s a slightly strange decision, Riches says, because it was an opportunity for Russia to define itself in a big way. “But at least in China there’s a visual and cultural identity for China that’s more discernible globally for China than there is for Russia. Even some of the sponsorship campaigns for Beijing draw on it… that expressed a lot about the Chinese culture of excellence. “For Sochi it’s a bit harder to know what to say about Russia in that global spotlight.